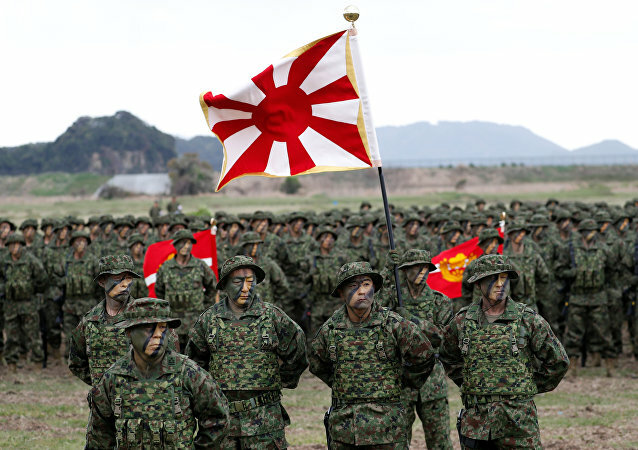 TOKYO (Sputnik) - Japan's first amphibious fighting force went into full operation on Saturday, with the mission to defend the country's remote southwest islands, as well as the disputed Senkaku (Diaoyu) Islands in the East China Sea, the Kyodo news agency reported. MOSCOW (Sputnik) - A magnitude 6.3 earthquake hit waters near Papua New Guinea on Saturday, the European-Mediterranean Seismological Centre (EMSC) said Saturday. WASHINGTON (Sputnik) - US President Donald Trump would be capable of winning a trade war against China if he leads negotiations, White House Press Secretary Sarah Sanders said during a press briefing on Friday.